Darksoul is the second in Anna Stephen’s ‘Godblind’ series, the first of which was very well received last year. Darksoul, though, is something else. 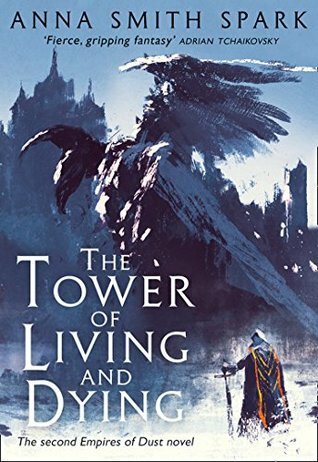 It’s a tightly plotted , bloody, emotionally convincing, massively affecting work of fantasy. This is a book which wants to make you feel. It mostly doesn’t want to make you feel good, but that’s how this goes. It’s got prose carrying an emotional payload which is a kick in the groin and a stab in the heart at once. It’s going to make you feel atrocities at work, feel betrayal, feel the liquid stain of blood on the floor – and then give you a contrast of hope, of people acting better than they have any right to be, of heroism and selflessness against a dark background. This is a book which is prepared to embrace the bleak. It looks full in the face of the horror of war, and doesn’t flinch. But if that horror carries mitigation, that’s also here. I guess what I’m saying is, know what you’re walking into. Godblind wasn’t all sunshine and daffodils, but Darksoul takes it up a notch. Conflict is damaging, to ideals, to cities, to people. This is a book that is, in some ways, about that damage, and it won’t let you look away. Darksoul’s world is one of conflict. The central focus for this book is the siege of the city of Rilporin. The defenders are outnumbered, unable to call for reinforcements, but holding out hope for rescue anyway. The city is battered, for sure. There’s a sense that the military command is hamstrung by a civilian aristocracy whose main concern is their own necks. That said, the reader can see heroes here, people standing up for their home and their beliefs, in the face of appalling odds and the likelihood of a horrifying fate if the city falls. There’s a sense that Rilpor is the idea of its citizens, of the civilians prepared to put themselves in the line of fire for ideals of a nation. On the other side of the siege, though, the same attraction to ideals is what powers their enemies. Say what you will about the Mireces and their penchant for brutal torture and blood sacrifice, (and it’s presented here in a graphic and repellent fashion) they have an iron-clad conviction that they’re performing the will of their deities. The text can use that conviction to explore interesting ideas; for example how far do you go to defend an idea, and do the words of a god define the morality of their followers. There’s a thoughtful intellectual framework here underpinning the story. As a side effect, the reader is unable to say that the Mireces are just slavering villains; we’re forced to see them as people. People doing awful things, yes, but the idea that they’re just monsters is challenged in their ideological loyalties. They don’t feel like what they’re doing is wrong, even as the Rilporians look at their actions with horror. There’s certainly plenty of time to examine those actions – this is, after all, a siege. The high-wire tension and pressure that comes with that is wonderfully evoked as we study the besieged. They live at a perpetual slow boil, wondering when the next attack will come, or the next, or the next. That tension runs through every interaction, as officers try to motivate soldiers slipping on the edges of despair, and commanders try to convince their officers to take troops back onto the wall one more time (and the time after that). This tension cranks up throughout the book – each page is one more turn of the screw, for the reader as well as the characters trapped behind city walls. 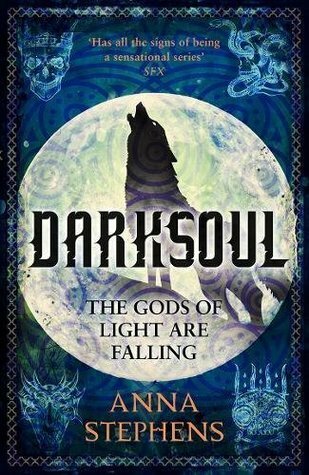 Darksoul a beautifully appalling and thoroughly convincing portrayal of a city under siege, and it gets there by vibrantly portraying the characters that make up that siege, on both sides of the wall. Rilporin, with its towers and tall gates, Rilporin is alive – and the Mireces camp, with its fanatics and bloodsplashed on the earth, is equally so. Speaking of characters – there’s quite a few familiar faces here, though not always in their familiar roles. Dom, the calestar, is a study in horror. As his connection to the liminal, to the divine, has increased, his sanity has lessened. Unable to act other than at the will of the gods, he’s washed away in submission to wills not his own. With a mind broken, and adapting to that break, Dom is a person capable of anything. That typically doesn’t mean anything good, though. Seeing the changes wrought on his flesh is repellent, and given his role in Godblind, downright horrifying. A good man, of sorts, trying his best, has become something other, something which sits outside our framework of meaning, and acts as it feels it must. Dom’s madness reeks on the page, pervades every line he speaks and every action he takes – and the wreckage of the man that he was rips through the reader even as it devastates those around him. We get some more time with Crys as well; he’s still as rambunctious as ever, bonhomie hiding a cmplex character whose emotional responses are socially circumscribed, and all the more believable for that. As Crys tries to work out what he wants, and how he feels, , the raw emotion comes ofdf the page alongside a complex, believable persona. Crys is friendly, charming, and ever-so-slightly detached – but his personal struggles behind the façade of a career officer ring true, and give him a depth which made me care about what would happen to him next. They’re not alone of course. Stephens gives us an ensemble piece this time around. Each of the characters, from the master mason determined to hold the city together, to the Rilpor captain determined to do her duty in the face of the end of everything she knows, to the Mireces themselves – they all have a heart, a breadth and emotional depth which gives them a feeling of being people, which makes you care about them, and feel with them. A word for the Mireces in particular, who manage to be vile people doing utterly unspeakable things, but don’t feel like mustachio-twirling villains. Theirs is a culture of blood, conflict and horror, and what they know is what they propagate, with the backing of their divinities. They’re unflinchingly appalling, but have a complexity and resonance which means they’re far more than caricatures. This gives the conflict between Mireces and Rilporian more weight, and if I always knew what side I was on, the Mireces were believably consistent in their desire for blood, skulls and revenge. Which, I have to say, there’s plenty of. The siege, as I said earlier, is the focus. If the slow burn of tension between attacks lets us into the characters world, the struggles of the conflict are brutally kinetic – hard, fast, and bloody conflicts. This is a world where wounds kill, where captivity isn’t going to end well, and where anyone can die. Arrows wing down out of the sky and pick off a friend, someone you’ve shared a chapter or two with. Or someone pushes a ladder off a wall, and the bloke you thought sounded interesting a few pages back falls screaming to their death. This is unflinching, unrelenting in its description of the horrors of war, its justifications and necessities. It’s not all blood and fire and tears, for which I’m grateful; it contrasts those darker moments with opportunities for hope, for forgiveness, even for love – but it’s not afraid to show what people will do for those things, and what the costs are. Those costs are wonderfully portrayed, from the glint in a fire as it tears through a building, to the hot stink of blood when an arrow punches out someones eye. There’s always a price, and Darksoul wants us to accept what it is. In the final analysis, people will want to know if this is the sequel they wanted after Godblind. That’s a wholehearted yes. It has taut, compelling plotting, and the characters will make you feel for them, for their struggles, their lives, their deaths. The story is an emotional rollercoaster, which will put your heart in your mouth and keep it there, page after page after page. I won’t tell you how the journey ends, but I promise you this – you won’t regret taking the risk, taking the ride. Godblind is powerful, evocative fantasy, and if you came out of the first book in the series wanting more, then you owe it to yourself to pick this one up. Foundryside is, and I want to get this out of the way now, a great book. 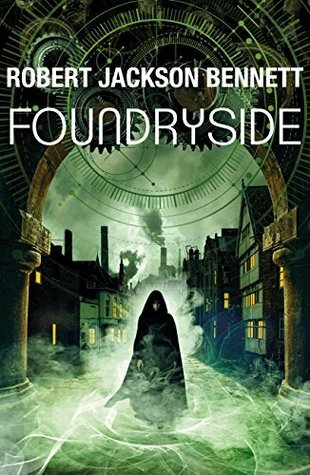 It’s by Robert Jackson Bennett, whose “Divine Cities” trilogy has been one of the highlights of fantasy narrative for the last few years. Foundryside is something new. It’s a heist story, yes. A tense race of exquisite planning against the clock, one which kept me turning the pages to see if, or how, anyone was going to walk away from the job. But it’s also a nuanced character piece, looking at the ways we limit ourselves, and at how we have the ability to recognise and exceed our potential. It’s a social parable, with interesting things to say about the concentration of economic power into the hands of oligarchs, and the effects this has on social cohesion. 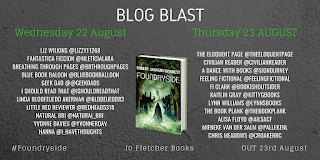 Foundryside has a lot going on. It wants to tell a good story, and it succeeds at that, in part because it wants you to care about its characters (and it succeeds at that too). But behind the fast-paced narrative, the emotional depth and the snappy one-liners are the edges of themes, surfacing implicitly in the text, inviting the reader to embrace them, or at least argue with them. This is a book which will give you a rip-roaring story, no doubt. But there’s a lot to think about, too. The pivot of the novel is Sancia. A pragmatic young woman who lives in one of the less salubrious parts of town, Sancia has made a career out of extracting hard-to-reach property from difficult locations. That the property belongs to someone other than her client, or that the location is a vault or fortified home is incidental. Sancia is smart, and Sancia is driven. She’s determined to get out of the poverty which surrounds her, and that energy is paired with a steely resolve which gives her real bite. That said, Sancia carries her youth not in her naivety, but perhaps in her willingness to take risks. Some of that is because Sancia is also rather trauamatised. This is a convincing, detailed portrayal of a young woman who has been through a lot, who has the grit and determination to bounce back and make something of herself. Quite what that something is, that’s a different question. 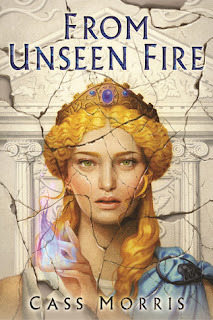 Still, Sancia’s pain is paired well with her fire and energy; she’s a sympathetic protagonist, with deep roots, conflicting issues, and a rich emotional life. Sancia also kicks serious arse, moving from meticulously planning a heist to being the driving force in carrying it out, to making gut decisions in milliseconds when it all goes wrong. Smart, funny, driven, with the emotional scars that help make us all human, and with so much potential – she’s an absolute force, and a delight on the page, and I always wanted to see where she would take us next. Though the wolrd turns on Sancia, she’s not the only person in the book. There’s down-at-hells magic engineers trying to make enough to get by. There’s the captain of a new watch force, back from a war, more than a little traumatised himself, and trying to do some good. There’s bevvies of thugs, swindlers and assorted troublemakers. There’s heads of merchant houses, as close as you can get to rulers with a vault full of money, shark-like ruthlessness and more than a little insanity. There’s old loves and hidden histories waiting to unfurl in the substrata of the story. What there is, then, is a vibrant, colourful world, with all its delights and horrors, which Sancia walks through with us. Speaking of the world – it’s really rather interesting. There are notes of the Renaissance here, in the concentration of political power to those with money, rather than a hereditary aristocracy. The merchant houses of this world are the true powers in their city, and their city is one of the great powers in the world. Those who rule the houses live in light, with clean water and elaborate labour saving devices. Those who serve the houses live comfortably. Everyone else, those without the skills required, or too broken to be useful any longer, live in the mud and squalor between the fortified compounds of the houses. This is a society dominated by oligarchs, one where anyone can succeed, but those who start out holding all the cards have rather a lot of advantages. It’s enchantment which makes the houses so powerful – their craftsmen can convince inanimate objects to act differently. Carts can have their wheels run forever. Lights can burn in perpetuity. Items can be crafted to do almost anything. Of course there are risks; craftsmanship comes with the exciting opportunity to blow off a limb, or have your face melt off when a sigil you’ve carved does something you weren’t expecting. But these enchantments sit at the heart of the power of the establishment, and if much of their knowledge is pulled from the remains of an older, vanished civilisation, people are too busy getting rich or starving to death to care. This is laissez-faire capitalism with magic, and it has an eye on inequalities and injustices. The book approaches these unflinchingly, examines the reasons they exist, the systems which allow inequality to survive and thrive – and does so while giving you an absolutely storming story to go with it, as you explore the city alongside Sancia. Speaking of the plot – well, no spoilers. But it starts out with a heist, with tension ratcheting up page-by-page-by-page. With a massive risk counterbalanced by the opportunity for a great reward. That’s not where it ends though. As the story drives forward, the stakes get higher. It’s always on the boil, and I was always waiting, on each turn of the page, for the other paradigm-shattering shoe to drop. The colloquial style makes for a compelling read, and the emotional heart of the text means that you feel each victory and defeat as your own. It’s a story whose tensions are manifold and manifest, and they’re played against each other masterfully to provide an action-packed yarn which also has the emotional resonance of a kick in the gut. I laughed, often (Sancia has rather a line in banter). I gasped, more than once. As often, I fought back tears. The prose wants to get into your head, and make you feel, and think about the way you feel – and think about why you don’t. Is this a good book? No. It’s a great book. It delves into complex issues with eyes wide-open and no apologies, but gives you a cracking story and a kick-arse heroine to go with it. It’s not just the Divine Cities over again – this is something new, but it has the quality, the impact of those books, even as it builds something new. Pick it up. Read it. It’s worth your time. I know we usually put a new review up on Wednesday, but this week, it'll be coming out on Thursday instead. 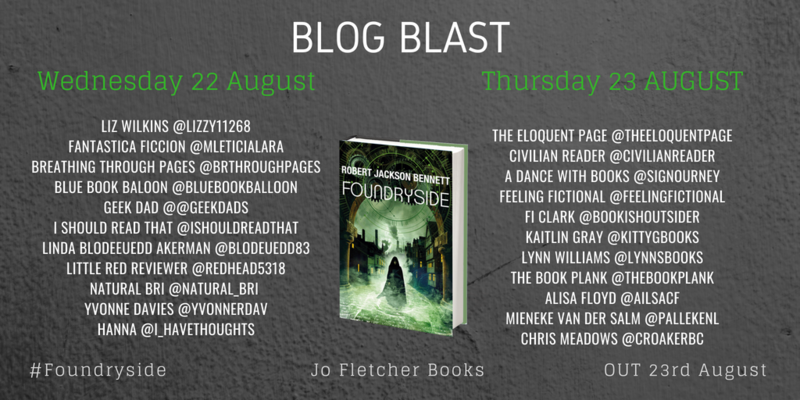 I'm excited to say that's because we've been asked to participate in the Foundryside blog tour! See below for the dates of reviews which will be going out from some other brilliant bloggers this week - and we'll see you back here on Thursday for our own take on it. The Tower of Living and Dying. Lets start with this: It is not kidding around. It. Is. Not. Kidding. Around. This is a story which delves into the darkness which sits at the heart of humanity. It explores the way human nature intermingles atrocities and violence with the capacity for love and joy, even in (perhaps especially within) those who might be seen elsewhere as monsters. In fact the existence of monsters feels a little outside the strokes the story is painting in. I’ll see about unpacking that later. For now, know this. There’s outright slaughter here, the obliteration of towns and cities, wrapped aroundan exploration of a corrosive and nihilistic philosophy. There’s scads of political expediency. There’s some genuinely epic magic, the sort that makes you go back over a page to understand the consequences. There’s a knowledge of and a need to investigate the love of destruction and violence, and the struggle for creation to survive in the face of the destruction of entropy. This is a book which wants to tell you about people – and people are, broadly speaking, pretty messed up. They’re happy to slash and burn and torture and kill, given a cause and a figurehead and permission. They’ll wrap themselves in the cloak of ideals to bring themselves to power on a tower of skulls. And if they don’t, if they won’t, then they’ll be eliminated by those who do. This is a bleak view. It’s one which deserves a soundtrack filled with a lashing guitar riff and some serious bass, whilst the lights dim and something, let’s not ask what, flies its mammoth carcass over the audience. This is a story, absolutely. It’s about a rise to power, about a couple deciding who and what they are. It’s about a decaying empire, and the measures necessary to protect and preserve it. It’s about an imagined past, about constructing a truth which justifies your actions. It’s about starting a campaign of world-wide conquest in blood and fire. About bathing in the blood of your enemies and enjoying it. It’s about relationships, and the compromises you’re willing to make to be with the ones you love, and to build a life you can feel is your own. There’s a lot going on here. A world-changing, world-spanning plot, shaking the status quo to its foundations. Some absolutely fantastic characterisation, giving us complicated, broken, confused people, who are simultaneously trying their best and also absolutely awful. And a tapestry behind them, a world shaped by a deeply embedded past, current events wrought in the spilled blood of their ancestors terrible mistakes. This is a book with a Big Mood, is what I’m saying. It’s unabashedly complex. There’s a story here, of conquest and betrayal, and that would’ve been enough to keep me turning the pages, that’s a fact. But sliding underneath the lyrical, wine-dark prose, the language which is so smooth and so sharp that it’s in and out like a stiletto, is everything else. The characters that started shaping the world are still with us. Marith…ah, poor, broken Marith. A young man who always knew what he was capable of, if he allowed it, has now run off the leash. Anchored by his affections, and by necessity, he’s reaching out to protect himself and those close to him. In doing that, he’s also trying to become a king. There’s a sense of escalation here – as every step he takes binds him tighter to a path of conquest. Marith wants to be seen, to be recognised and loved, and feels the need for that love keenly, and often selfishly. That feeling lives on the edge of more complex turmoil – about his relationship with his father, with a stepmother he’s reduced to an archetype of betrayal, about the unreliable narratives of which he’s constructed his life. Marith needs and wants and reaches out and takes – but he’s self-aware enough to recognise the needs which drive home, and which also drive him toward self-destruction. That doesn’t mean he pushes them away. Not always, maybe even not often. There’s a part of Marith which glorifies in destruction, his death-urge sublimated into laying waste to those around him. That part is twisted around the other, which wants to keep those around him safe, wants their love and their need for him to be as great as his for them. Inevitably he’s disappointed, and the undercurrents of emotional betrayal lace their way through his non-delusions of adequacy. Marith is emotionally warped, and struggling to be true, to be himself – or, perhaps, not to be himself. Whatever he is though, it has potential – for wonder, horror, or more typically, wondrous horror. Marith isn’t a nice man, but he’s incredibly emotionally affecting, and a genuinely compelling protagonist. In his circle of desperate attempts to feel alive, to feel life and love and humanity, and to destroy everything which gives him those feelings before he’s betrayed, he’s ably assisted, if that’s the word, by Thalia. Thalia was the high priestes of a decaying empire once, a woman who made a living of sorts living in a compound, never able to leave, sacrificing men, women and children daily for the glory of her god. Thalia isn’t an especially nice person either. That said, she carries her scars differently than Marith. With more dignity, perhaps. Though her vulnerability is just as clear, seething under the surfaces as she finds herself tied to a man she loves but is often horrified by. Still, she’s nobody’s fool or pet, Thalia. Kindness in the immediate sense she has, but her own past an own her as much as Marith’s – perhaps more so, as she seems to have a firmer idea o what it is. They’re the power-couple of tyranny. Broken, tortured souls, doing some good and a lot of terrible, terrible things in service to their own goals – and they’re grand goals, to be sure. Rebuilding the past. Living a secure, bountiful live of love and harmony. But somehow they seem to involve rather a lot of blood. Then there’s our man in Sorlost, the sclerotic squirt of a city which is all that remains of a once-great Empire. The emotional complexity here actually made me gasp more than once; an arranged political marriage and a preference for other men are the undercurrents to a complicated personal life. But that life, the love for more than one person, in different ways, is nuanced, thoughtful, one which is explored with care. It’s laced through a lot of cutting edge politics (and the appearance of knives in Sorlost’s politics means that this isn’t entirely metaphorical). A lot of people end up dead when someone’s trying to make a better world. If Marith’s nihilism does that through violence, through the adrenaline and semi-sexual surges of destruction and mayhem, this quieter death, building alliances and dynasties through reputation-shredding and assassination is a difference of kind, rather than type. The issue here is that despite the best motives in the world, death follows. Is Martih more honest? Perhaps. Does the goal matter more or less than the result? These aren’t quite questions at the forefront of the mind, between death-squads and marauding armies, but they’re questions the text asks, nonetheless. It’s there to say, who are our protagonists. Are they heroes? When things get messy, when things aren’t simple, when you can’t fix what you’ve broken, what happens next? These aren’t heroes, exactly – they’re people trying to do their best in the world around them, and their lives and loves and thoughts and feelings are as vital as that of the reader, in their complexity, in their emphasis on shades of grey, even in their embrace of occasional absolutes. Reading through, these are complicated, awkward people, and if they’re not people you’d want to spend any time with, they’re still delightfully, appallingly human. The plot? Look, I’m not going to spoil that for you. But there’s a lot going on in between the pages. Armies on the march. Ancient magics revealed. Some charmingly byzantine political maoeuvering. Crosses. Double crosses. Triple-crosses. Basically all the betrayal you can swallow, really. I’m surprised anyone shakes hands in this book without checking to make sure they get more than a stump back. There’s life and love out there too, and exploring of different lands, some damned and broken, others less so. This is the book that throws open the horror and wonder that encapsulated the world, and shows what’s out there to explore. Admittedly, that exploration is often done at the point of a blade. This book is a long, complicated refrain filled with power chords. It wants you to feel, feel the intensity, feel the love, feel the death, feel the anger. It wants to talk about the eroticism of male violence, the way it’s subsumed into a society which ties up killing with release and a social death wish. It wants to talk about life, and the way stability and arrogance lead to calcification, and that breaking out of that sort of stasis may or may not end up being a good thing. It explores systems and the way they work, but it does so through the agency of its characters – thoughtful, appalling people who live and laugh and love and occasionally find joy in torture and massacre. In the end, this is a breath-taking. It has amazing scope, and sets out to explore that narrative space with the reader in an intelligent, thoughtful and uncompromising way. It does that, lets you get under the skin of people and society, and ask some large, interesting questions – and also tells an absolutely storming story, filled with magic, mayhem, conquest, politics and romance. It’s great, is what I’m saying. 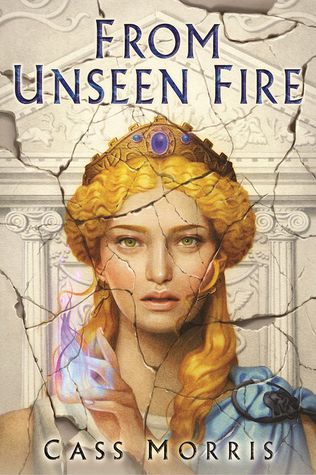 If you’re wondering if this is the sequel you wanted after The Court of Broken Knives…yes, yes it is. Should you read it? Yes, yes you should. The Wrong Stars is a space opera of sorts, centred around the White Raven and its crew, a group of freelance security contractors with a penchant for putting their noses where they don’t belong, then trying to avoid having them shot off. This is a universe where humanity has exploded outward from Earth, not just across the solar system, but into multiple systems. To do so, it uses tramlines of sorts – heading from one point to another via tunnels in space time, which can be opened via technology obtained by trading with an alien race. Ships travel to a transit point, then pop out at their destination. This gives the universe a sense of distance, a feeling of scale which keeps everything else in perspective. People are spreading quickly, and there’s an optimism and sense of hope there, as well as an energy and drive which permeates the prose, a background mindset driving decisions. We’re still people, though, so even this diaspora is no utopia. Even within the solar system, there are splits that seem to run along corporate lines – great merchant houses jockeying for power and control in a quiet cold war. This means that the hope is intertwined with a certain tension, with internal conflicts that are quietly simmering, a contrast to the more positive expressions of humanity as it attempts to stretch its wings. This has benefits too, though – an implied increase in the amount of technology available for self-enhancement being just one of the perks. That stretching, of course, has been brought about by the intervention of aliens. There’s one species floating around the galaxy, whose interactions with humanity aren’t violent. They seem happy to trade with humanity, speak with them, and largely stay out of the way. At this point, humans are more concerned with getting their feet under the table in a few more colonisable star systems than looking their benefactors gift horse in the mouth. As the story goes on, we get more context and background on this species; it’s excellent background, a thoughtful and nuanced portrayal of something with a perspective different to that of humanity. Which matters less to the crew of the White Raven, who start the day chasing down pirates and troublemakers for one of the big corporations, on a nominally freelance basis. They’re a delightful found family filled transhuman cyborgs, hardass privateers, divertingly religious medics and a sarcastic AI. As an ensemble, the focus is clearly on Callie, the captain, but the others all have contributions to make, and f they don’t always get enough time on the page, what they do have is enough to make you care about what happens to them next. I’ve got a lot of time for Callie, mind you. A woman determined to do her best for ship and crew, and even to do the right thing – albeit within certain pragmatic constraints of ‘right’. Callie learly carries old emotional injuries, but keeps much of that internalised – instead using her emotional energy to drive her crew forward. At the open, she feels like an iceberg, roiling the emotional waters internally, but presenting a largely convincing façade to the outside world. That she cares for her crew is never in doubt. That she’s also willing to kick arse and take names is also, veryqquickly, not in doubt either. Not a paragon, but a good-hearted contractor, trying to make ends meet and do the best they can, Callie’s mix of weariness and determination kept me turning pages, especially when that determination was backed up by terrifying technology and serious munitions. On which note – this is an adventure story. There’s action, the kind that comes with expertly built tension, released in bursts of adrenaline and gunfire, for sure. But there’s an emotional heart here as well, which makes you care about that action – the characters clearly care about each other, and as they care, so do we, as they try and keep each other out of trouble, and stay alive. But there’s a lot going on. 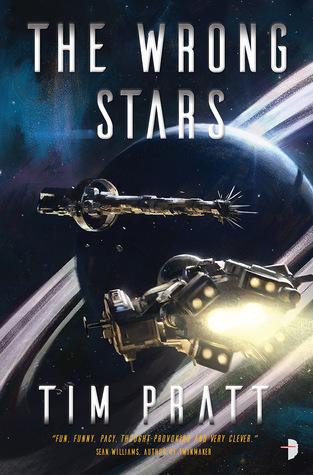 Archaeology, of sorts, and revelations about the nature of the universe, are backed by some brilliant fight scenes, which kept me on the edge of my seat while turning pages rather quickly. There’s big and small stakes in play here – from the fate of the universe to the fate of one woman’s heart. It’s smart, punchy sci-fi which has all the mixings of a cracking space adventure, blended to make something more than the sum of its parts. Most of all, it’s fun, and I’d encourage reading it on that basis; I’m certainly looking forward to seeing what the next book in the series brings!